Dong Van Plateau is located in the North of Ha Giang city, which means it takes six hours to drive from Hanoi. This area seduces travelers by spectacular limestone areas with severe slopes. You may absolutely surprise when strolling around these rocky regions covered by many fossils of species were seen 400-600 million years ago. Situated in a mountainous region of Vietnam’s far northeast, Dong Van Plateau has lots of specific characteristics in term of topography like splendid terraced rice paddies climb to the summits of the surrounding mountains and extending beyond the horizon. In addition, tourists can enjoy the fresh ambiance of this remote area or challenge yourselves at Southeast Asia’s deepest canyon. In particular, Ha Giang city has many ethnic minorities who will offer you warm hospitality and help you know more about their unique culture. Joining in Vietnam vacations, you are able to have valuable experience about this extraordinary rocky plateau through paying a visit other sightseeing such as tranquil lakes, pine forests, bristling caves and marvelous waterfalls. Ma Pi Leng Pass, Dong Van Ancient Town, Quan Ba twin- mountain are also excellent choices for intrepid explorers. Ninh Binh is another fantastic destination if you want to be surrounded by Vietnam’s lavish nature. This “Wonderland” consist of four magnificent sites Tam Coc, Trang An, Van Long Nature Reserve and Cuc Phuong National Park. To commence with, let me lead you to the first place- Tam Coc. In order to enjoy glorious beauty of this location, you have to take a ride on rowboats paddled by the locals then downstream to Ngo Dong River which has crystal- clear water and three grottoes at the end of waterways. The harmonious combination of sheer rock and water creates a picturesque scene which enchants travelers having trips in Vietnam. Gliding along the slow-moving river, you can observe the rough terrain and peaceful villages. You may see some mountain goats grazing in valleys if you are fortunate. After visiting Tam Coc, you should stop by Trang An to refresh yourselves. Trang An is an eco-tourism site located in Trang An World Heritage Complex in Ninh Binh province. The most appropriate time to come here is from February to Aprils. During this period, the weather is not too cold which might be the ideal time for outdoor sightseeing. Trang An is famous for a range of limestone mountains with geological age are about 250 million years. In this scenic place, there are many submerged forest and relics associated with the history of the ancient capital of Hoa Lu. Trang An complex is like an enigmatic maze. The wonderful thing here is that lakes are interconnected by various caves. Relaxing and you can immerse into pristine nature. Van Long Nature Reserve and Cuc Phuong National Park are the storage of thousands of plants and animals, even endangered species on Red List. 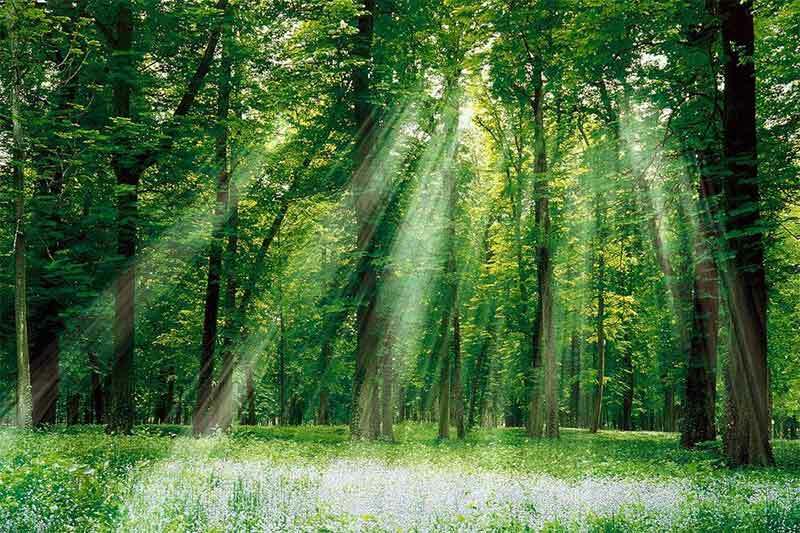 The flora and fauna of these places are diverse and suitable for tourists to explore in all four seasons. Van Long is considered as the largest wetland national reserve in the Northern Delta, which has good conditions for the development of creatures. Similar to Trang An, Van Long area has bountiful striking caves for tourism. In fact, the cave ceiling is a high stone bend hanging down many sparkling stalactites. Meanwhile, Cuc Phuong National Park- Southeast Asia’s largest virgin rainforest is situated in three provinces Ninh Binh, Hoa Binh, Thanh Hoa. Visitors come here may have chances to explore the lush nature and impressive landscapes. If you are an extrovert, you can participate in research activities, historical culture programs or campfire overnight. Sapa is known as an optimal option for people who love trekking because of its endless mountainous roads. 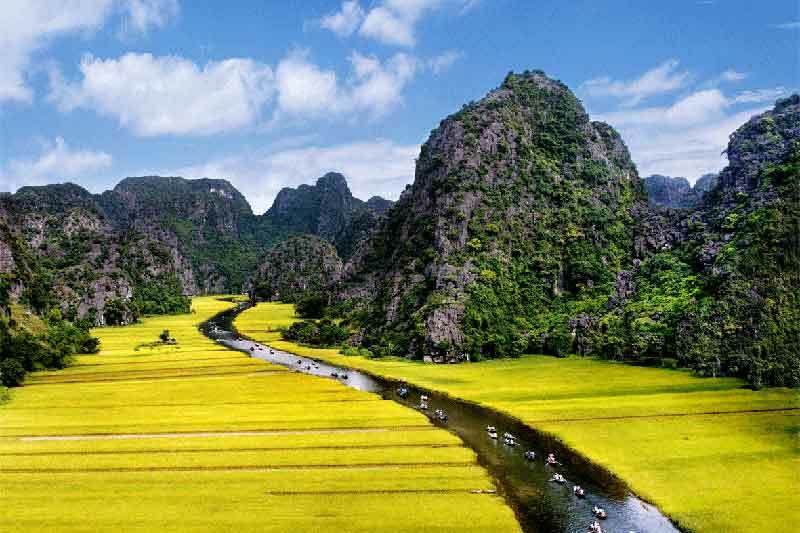 You cannot have a perfect Vietnam tailor-made tour without at least a day of hiking through these meander paths. Just be sure you have Heaven Gate, Fansipan Peak (the highest peak of Indochina) and Muong Hoa Valley in your itinerary and you are good to go. Sapa not only has a lot of rice terraces, lush valleys with the highlight of colorful dresses of ethnic women but also has unseasonal weather, which makes this city have fully four seasons in a day. Thus, you can witness the considerable change of climate from sunny day to foggy night every single day. In case you are a sucker for adventure, you may not want to miss the feel of conquering the highest peak of Indochina. But if you are not willing to cope with arduous trek, just coming in a recently opened cable-car and you can be taken to the summit of Fansipan. Last but not least, in order to have sophisticated understandings about local people, you can spend the night in a local homestay with an ethnic family instead of booking a hotel room. You also can join in weekly markets and soak in the catchy melody of Mong and Dao’s folk songs. Having some tubes of sunblock, take a minibus and you can set your foot on one of the new seven natural wonders of the world, Ha Long Bay. Ha Long is the epitome of Vietnamese coastline with emerald waters and the hundreds of scattered islands. You can go kayaking or find a seat on the deck of boats to watch the stunning rock formations. Most of the islands on Ha Long Bay are Phong Linh morphological form (Fenglin karst) - one of the rarest forms of limestone rock formations. These unique islands are made up of towering or conical limestone blocks. Another karst form in Ha Long is Feng Tung (Fengcong karst) with the prominent feature of high floating masses bunched together into several peaks. The breathtaking scenery of Ha Long Bay is not the only harmony between heaven and sea but also in the cave, which contains thousands of miracle works of nature. Unfortunately, only a few are opened to visitors. The caves that are popular with tourists can be mentioned as Thien Cung Cave, Dau Go Cave, Sung Sot Cave, Bo Nong Cave and Trinh Nu Cave.